Warner Music Announces 2018 RaeLynn Fan Party! 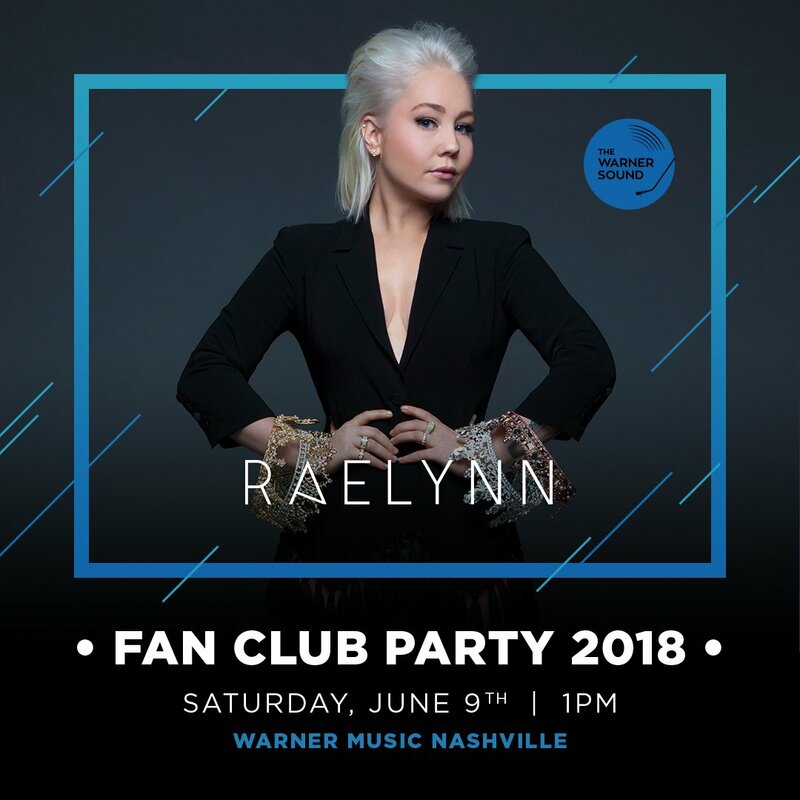 RaeLynn will hold a fan party at Warner Music Nashville - 20 Music Square East on Saturday, June 9, 2018 at 1 PM during CMA Fest week! Tickets go on sale for $49.99 and include an acoustic performance, meet & greet, photo opp, and exclusive merchandise.